With another year drawing to a close, you and your family are hopefully thinking about all of the great things you did this year, and everything you accomplished. At The Light Center in Fort Collins, we’re extremely proud of our year and the many people we’ve helped find the perfect lighting for their homes. As we look ahead to the upcoming year, we’re excited about what’s happening in terms of new light fixtures, new technology, and more. 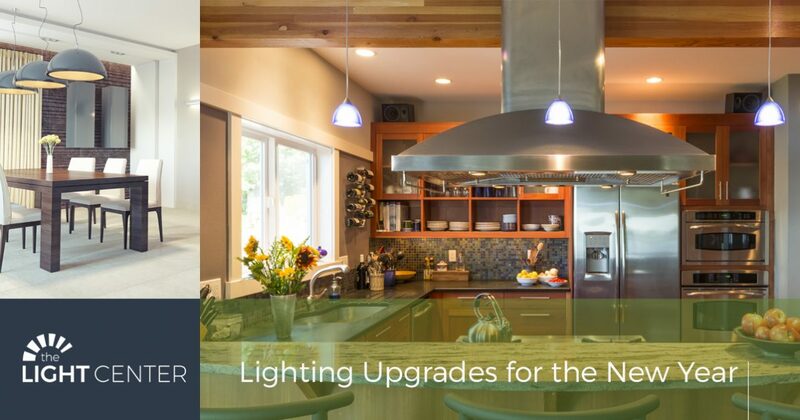 As a homeowner, we hope that you’re thinking about what upgrades you can make in the New Year, and how you can improve the lighting throughout your house. As people come to visit during the holiday season, they’ll often gather in the living room, the kitchen, or the dining room. While they’re there, you may notice that there isn’t enough light in one portion of a room, such as the seating area in the corner of the living room. You may also notice that the dining room chandelier looks a bit outdated, and as you think about it, you realize that it’s been hanging over the table for many years. When making lighting upgrades, it’s good to focus on one or two rooms, at least to start. If you feel that new wall sconces could brighten the corner of the living room, or that a new chandelier would transform your dining room, then let our expert staff help you find the perfect options. You may have a particular style of lighting that you prefer, such as Rustic or Mid-Century. You’ve filled your home with one style of fixture, and you enjoy the cohesiveness that’s found throughout the house. However, you may be thinking that it’s time to switch out some of those fixtures that are starting to look a bit outdated. By considering new lighting trends and styles, you can transform a room and make it feel more contemporary. You may not want to overhaul the living room or the kitchen with new lights, but starting with a smaller room, such as the bathroom or the office, can be a great way to see how the lights look and feel within your home. You’re likely not ready to install new light fixtures tomorrow, but you do want to have new lighting in place before the New Year grows too old. If that’s the case, then it’s a good idea to start looking for new fixtures now. At our showroom in Fort Collins, you can peruse our latest selection and take a look at the new options that we have in stock. If there are lights that are on their way in the New Year, then we’ll gladly let you know when they’re in so that you can come see if they’re the right fit for your home. If you’re interested in seeing how new lighting can change your home, then visit The Light Center today. We look forward to helping you!